The Steve Morgan Foundation has supported a charity which helps homeless people or those at risk of homelessness in St Helens and the surrounding areas. 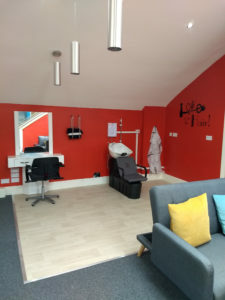 Teardrops Supporting The Homeless has recently set up a Hub facility, a former restaurant, to act as a base to deliver a wide range of services, which will be open six days and four nights a week. The Steve Morgan Foundation has now supported the charity with a grant of £82,236 to be used to help fund a Centre Manager at the hub over a three-year period. “Teardrops is an excellent charity which looks to help homeless people, or those at risk of homelessness, integrate themselves back into society and healthy, mainstream living,” says Jane Harris, Regional Grants Director with the Steve Morgan Foundation. “The project started by providing out-reach services for four nights a week with volunteers distributing food and clothes to rough sleepers on the streets, as well as offering help and information as to how they could access further support. “There are also weekly drops of food and toiletries to local hostels and refuges, and a second-hand furniture scheme to help people who have previously been homeless to re-settle without incurring debt for essential items. “The charity has grown over time, and this new hub now provides a permanent base to deliver a range of services which will help the most vulnerable people from the local community. “Advice is given in the areas of mental health, healthy eating, first aid, anger management, sexual health, cooking, budgeting, improving confidence as well as other practical support such as hairdressers, dentist and chiropodists. “On Saturdays the centre will act as a child-contact venue for parents who have been separated from their children as a result of accommodation issues, offering a safe environment to help rebuild those relationships. Those who benefit from the charity comprises those of all ages experiencing homelessness, or under the threat of homelessness, which averages around 1,200 people at any given time. Denise Kelly, the founder and CEO of Teardrops Supporting The Homeless, added: “We are really excited that we can offer a multi-purpose built Hub that will offer a range of facilities and services, from the statutory, private, and voluntary sectors all under one roof, to help support those who are homeless, at risk of becoming homeless, and the most vulnerable in our community. “We would like to say a massive thank you to the Steve Morgan Foundation for supporting us over the next three years. “This will enable the provision of an end-to-end solution that will offer those who are homeless a chance to move on from their current status to one where they will have the opportunity to more fully integrate into day to day society. The cheque was officially handed over by Jane to the Teardrops charity yesterday.